Looking at some forums I noticed some people are using the words crushed and diced cartilage interchangeably as if they are same thing. Another important issue i would like to address here is correlation between the degree of crushed cartilage and how it effects the long term outcome (re absorption rate) of the surgery. Crushing cartilage is procedure that takes pieces of cartilage and crushes it in a device called Cottle cartilage crusher and/or using a mallet. They can be crushed to varying degree's from slightly crushed to severely crushed. They are then inserted in the desired area of the nose using a medical tweezer. Dicing cartilage is procedure where the cartilage is sliced using a straight edge razor blade into small fine pieces. The cartilage is normally diced into <0.5mm squares, using two #11 blades avoiding, not being morselized or crushed. . Then it is placed in a syringe to be later injected in the desired area and molded/shaped accordingly. Usually diced cartilage is wrapped in soft material preferably deep temporal fascia. 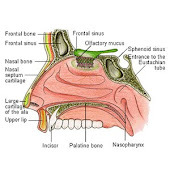 Both crushed and diced cartilage is used to smoothen out or camouflage nasal surface area's where cartilage is placed in the nose , like the dorsum, to conceal any irregularities. Both can be wrapped or combined with different material as well. Crushed cartilage grafts can be used for the following purposes: (1) to cover the sharp edges of an irregular nasal framework after hump resection (2) to serve as an underlying padding material to prevent skin adhesion (3) to fill pit holes and, thus, mask irregularities (4) as a filler to mask asymmetries and depressions on the side walls (5) for tip grafting (6) to camouflage the edges of solid onlay grafts , (7) to supply minor dorsal augmentation for the correction of an overresected dorsum, and (8) to increase the thickness and natural color of the overlying skin where skin atrophy had occurred. I believe diced cartilage can be used in most of the above situations as well. Our current clinical series confirmed our previous animal9 and human cell culture13 studies that the degree of crushing applied is important to the long-term clinical outcome of crushed cartilage grafts used in rhinoplasty. The results showed a correlation between the degree of crushing applied and the resorption rate of the crushed graft, especially in grafts applied at the dorsum. The resorption rate was zero in slightly crushed grafts, 2.1% in moderately crushed grafts, and 13.1% in significantly crushed grafts. Our results show that slight or moderate crushing of the autogenous cartilage produces an outstanding graft material that is effective in concealing irregularities, filling defects, and creating a smoother surface, with excellent long-term clinical outcome and predictable esthetic result. We suggest that intact cartilage should be used to correct major deformities and that moderately crushed grafts should be used for smaller depressions to minimize resorption. The severely crushed form of cartilage should not be used as filler except to correct negligible depressions in atrophic skin. The edges of solid onlay grafts might be softened by placing small pieces of moderately crushed grafts on or around the solid graft. The tiny pieces of moderately or significantly crushed grafts might be successfully used in final contouring at the conclusion of surgery. In patients with thin skin or in whom revision is required, a thin layer of moderately or significantly crushed cartilage would be the proper option as a padding material to prevent the adhesion of skin and to camouflage the sharp edges of the nasal skeleton that might be visible after edema has subsided. From the above study, one would presume that thinner and smaller diced cartilage would also have higher resorption rates then thicker larger pieces, but I haven't seen any clinical studies to support or contradict that conclusion.